What's that you say? 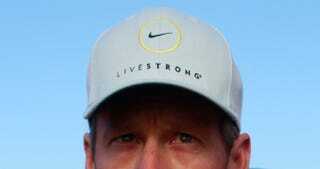 Rough day for Lance Armstrong? Nah, even though his entire legacy and reputation is on the brink of complete ruin, in the wake of being identified as the quasi-ringleader of a "highly professionalized team-run doping conspiracy." So how's he handling these devastating developments? Ah, you know, just hanging with the fam. Listening to some Elliott Smith. Yup, everything's coming up Lance.